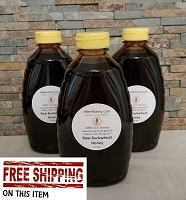 Raw Locust Honey in a 1 lb. container. Also known as Acacia Honey. 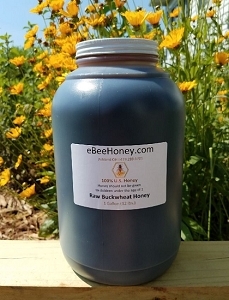 Raw Locust honey in a 1 pound container. Love the honey, wish the jar hole was smaller. Sweet, smooth tasting honey, I'm so glad I found eBee! My only complaints are that I didn't buy the bigger jar, and that the hole in the jar is a little large, I tend to squirt out too much honey onto my toast. Wow! I wait for this every year, and I LOVED this year's honey. This is a great company. Best honey I've ever had! This was my first time to buy this wonderful honey. beautiful coloring, light and refreshing taste. I even got my non honey loving picky eating 7 year old son to try it. his response " not Bad". there is hope for him yet. I also bought an extra for a gift basket for a house warming gift. this will be added to the yearly buying spree of honey I make each year. I have never had Locust Honey before and must say I was pleasantly surprised. It is like a fine wine with a bouquet of flavor pleasant to the pallet! It is also very good for you! Very nice, light honey. Loved it! I have really enjoyed this honey. It is so light and delicious. I have already eaten 1/2 of the first jar. I gave the 2nd jar I bought to my daughter for her birthday. Holy honeybees, Batman! This honey is GOOOOOD! I bought a bottle of locus honey recently and it was the best I think I've ever had. 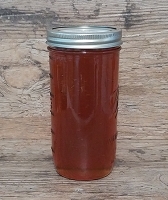 Normally, locally farmed honey is a bit gritty and has clouding in its coloring. 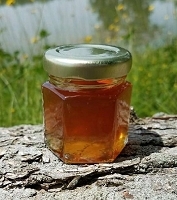 Ebeehoney's goods were clear, gritless, and tasted like I took a bite of a warm summer day. The bottle is already almost gone. Like magic except a whole lot tastier. 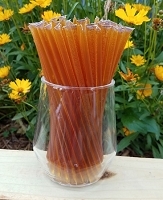 This locus honey is the bee's knees! I bought the 1lb bottle. It's very pleasant, with what I call a citrus note after a few seconds. 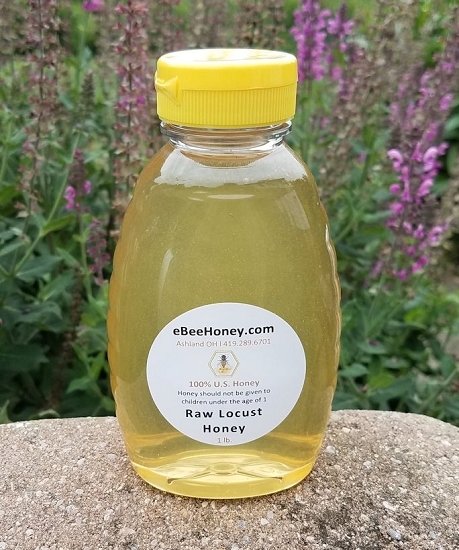 It is so hard to find locust honey and I was delighted to get your newsletter letting me know some was available. It's like Christmas only better because the pleasure lasts through the whole bottle. Ahh. I'll be looking to next spring. 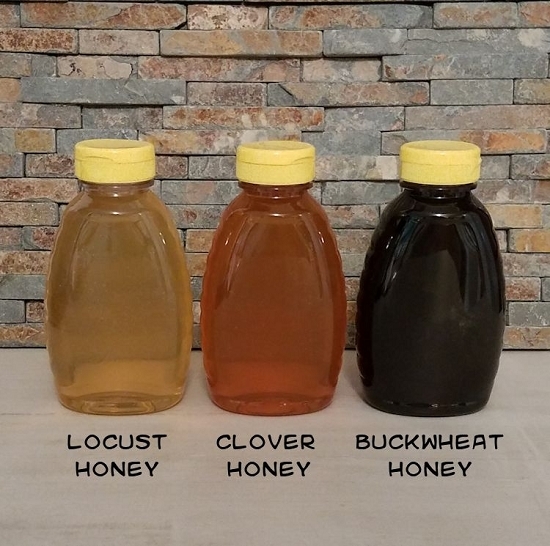 I have always wanted to try Locust Honey but it was very hard to find. I signed up for the newsletter and notifications and I am glad I did! I started out by ordering 1 small bottle of the Locust Honey and then decided I might as well buy 2. But I must have gotten the last bottle! I happily settled for one and it was enjoyable to taste for the first time. Very light, mellow but a wonderful honey taste. Hopefully this 1 bottle will get me through to the next Locust Honey season. 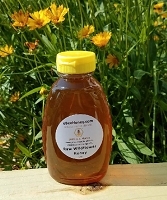 :) The customer service was excellent and I received my honey quicker than I expected. I look forward to trying other products from you in the future. This is the second time I have purchased locust honey from ebee. Not only is the flavor wonderful, mild, but the people at ebee are the BEST! Your order is delivered so fast! The Locust honey is wonderful. I have used it in iced green tea, on biscuts, oatmeal and mixed with peanut butter! My grandaughter is content to just eat it with a spoon! 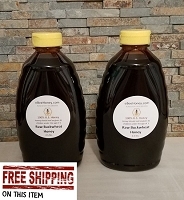 The raw locust honey arrived 2 days after being shipped. For more mundane uses I use raw wildflower honey bought in bulk, but occasionally I'll buy a monofloral honey for special purposes. This honey ranks with the best sourwood I've found and I wish I would have bought more. Very light, my wife noticed the delicate flavor paired well with her favorite green tea, adding more than just sweetness. 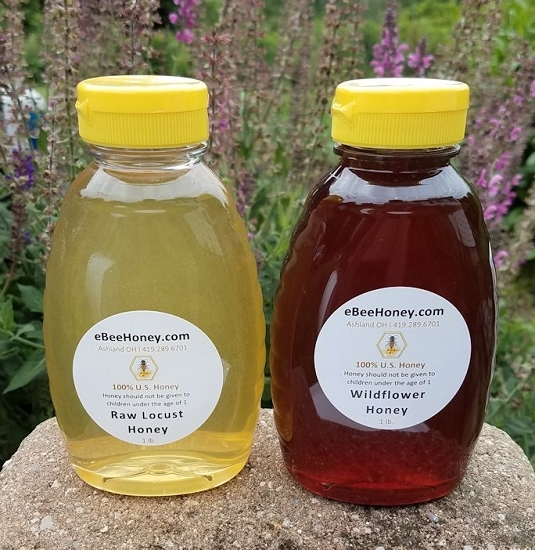 I am a little late getting my review out but as always the honey is delicious, I was so excited that the locust honey was available this year. Thanks again for your fast service. I recommend your company and will be ordering from you again in the future.